Hello there! Happy Wednesday to you! I'm so excited to share this post with you today. You may have hopped on over here from the Freshly Made Sketches challenge blog. This week, I am happy to be a part of a very special blog hop for a very special friend, Rita Wright! 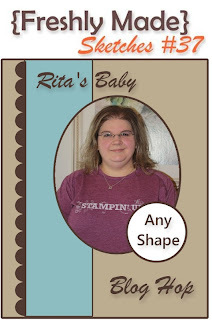 Welcome to the first stop on Rita's Baby Blog Hop! This was a fun card to put together! First of all, I just love Rita's great sketch. I wanted to use one of her favorite stamp sets for this card, Fox and Friends. I was really stumped with how to pair it with the sketch until I came upon another stamp set that I know Rita loves, Send Me Soaring. I mean you really can NOT get much more fun then a monkey flying a kite, can you? 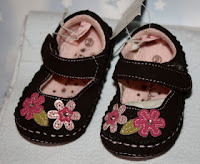 My color combo was inspired by the cutest pair of shoes that Rita recently picked up for her little lady. Seriously, can I get these in my size? As this card is coming from me, I'm pretty sure Rita would expect it to be pink, so I couldn't disappoint her. I used a new In Color, Primrose Petals along with Chocolate Chip, Lucky Limeade and Pretty in Pink. The monkey's face and belly were colored with ink and a Blender Pen, as were the clouds. Then I added some Crystal Effects to snazz them up a bit. Because every little lady needs some sparkle, I added some Silver Glimmer Paper to the punched border and to the little kite. All of the supplies used are listed at the end of this post. Here is the inside of the card, with one more cheeky monkey, just for fun. Hey Rita, now you know why I haven't sent that package off to you yet. Hee Hee! 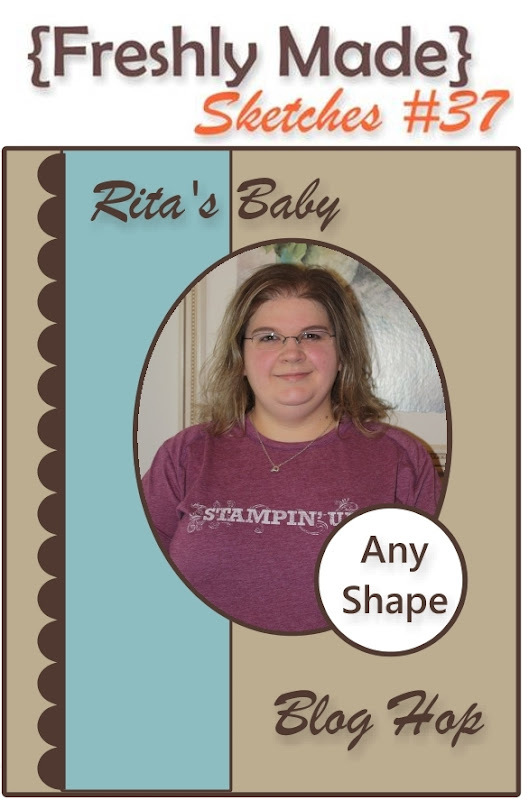 I hope you enjoyed your card, Rita! You will see it "in-person" very soon! Now who is ready to continue the baby hop? Next up, please stop and visit the lovely and talented Ann Schach to see what she has made for our momma-to-be. Also be sure to pop in and share some bloggy love with the ladies of the day, Rita and baby Laila! Ack, how cute are those shoes AND your matching card....what a sweet little monkey with her fashionable kite! Can I stop crying enough to type?! What an amazing surprise today!! I love that you used all your inside dirt on me to make such a special card. I love it, pink and all! Your card is adorable and what a nice surprise for your friend! Love the colors on this and the monkey with the kite is too cute! Super cute card! 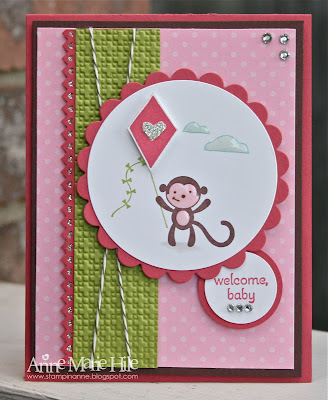 Love the monkey with the pop of green! This is gorgeous. Love the colour inspiration. Oh, my gosh! It doesn't get any cuter than this Anne Marie! I love all of your special touches...especially the bling! One of your best! Absolutely adorable, Anne Marie! 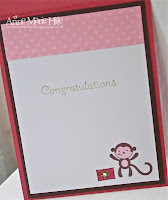 This is one of the cutest cards ever...from the cheeky monkey to the puffy clouds to the trademark Anne Marie girly touches! I know Rita and Laila will love it! Such a sweet card AM! Lovin' the kite, delivering the monkey. So cute! I know Rita will love it! OMG this is just adorable! Love the color combo and what a great idea to combine two challenges. Hugs. This is such a great card! I love the special touches with crystal effects, rhinestones, everything. Wonderful! How fun is this cute card. Love the monkey flying the kite. Cutest card ever! Love how you took inspiration from those absolutely adorable little shoes! Cute colors and a very fun card. Darling Card! Love the little monkey with the kite....and the snazzy crystal clouds! Oh, this is so cute! 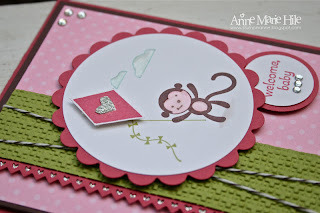 The colors and texture are a perfect combo and I love that adorable kite-flying little monkey! Seriously, this is the cutest wee monkey - love the bling and sparkles ... super cute!!! What a lovely card! It's adorable! I love the colours you've used Anne Marie and that little cheeky monkey is just so cute. I love all the bling you've added too. It's such a sweet card! Super cute card (& shoes!)! The monkey is sooooo cute! Love the kite and pretty clouds! Congrats Rita! The monkey is too cute!! Love the kite and clouds too! Congrats Rita! Super sweet Baby card ! What a sweet card - I ADORE that monkey! What a fantastic card! The monkey and the kite...how absolutely adorable (and perfectly Rita)!! Eeeek! 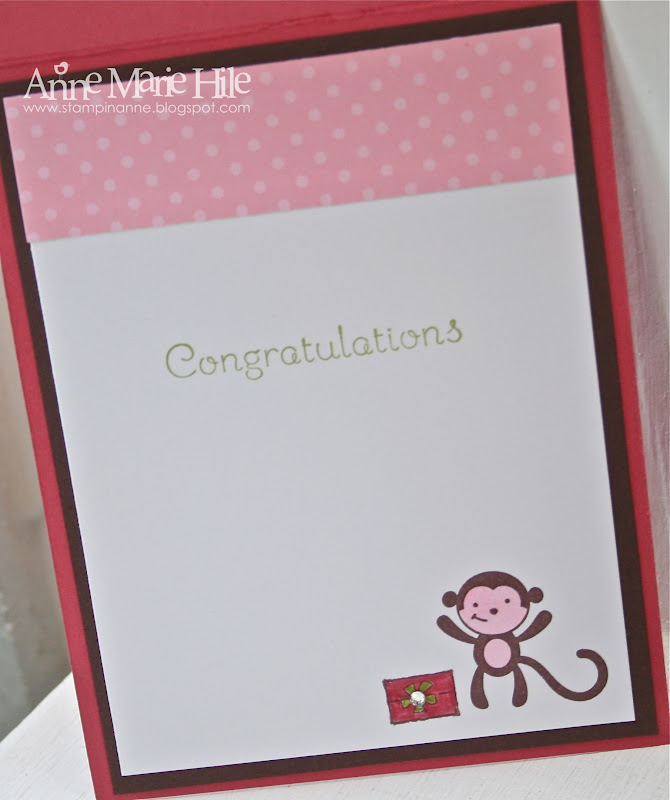 This card is so adorable, Anne Marie!